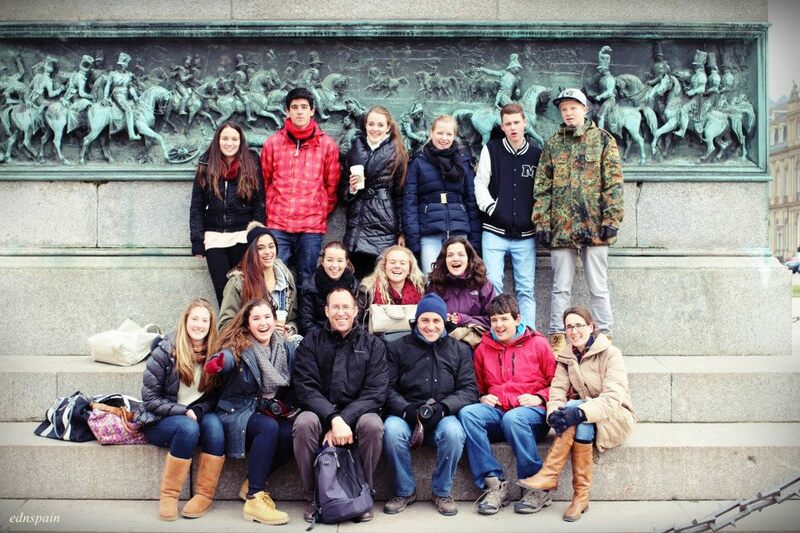 Last 4th of November we went on our yearly exchange to Stuttgart. It was going to be our best week of the term and I swear to God that it was. We almost lost our plane in Alicante due to a traffic jam, but it was our fate, to visit Germany. After arriving there, our German families picked us up and we went straight to their beautiful houses to spend the rest of the day with them. During the week we stayed there, we had lovely weather but a couple of rainy days although it allowed us to visit beautiful places such as Wilhelma Zoo, Luisburg Palace called Baden-Wurtemberg a luxurious residence full of history. We also enjoyed going shopping in Stuttgart city centre and of course, the party they gave in our honour not to mention the huge pizzas they bought us in order to get energy again. 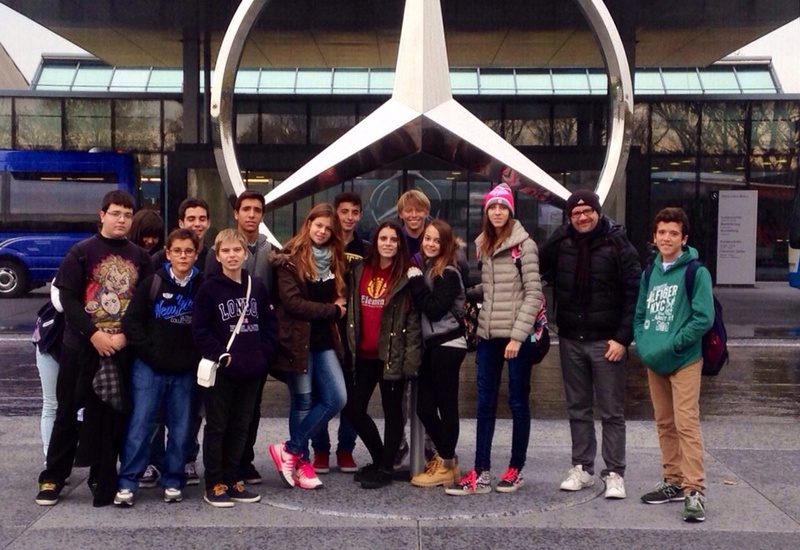 And what can I say about Mercedes-Benz factory and Museum, awesome, amazing!!! We were very sad on November 11, when we had to say goodbye to our German brothers and sisters but we knew that it was just the first leg of the match. We are looking forward to seeing them here next March. 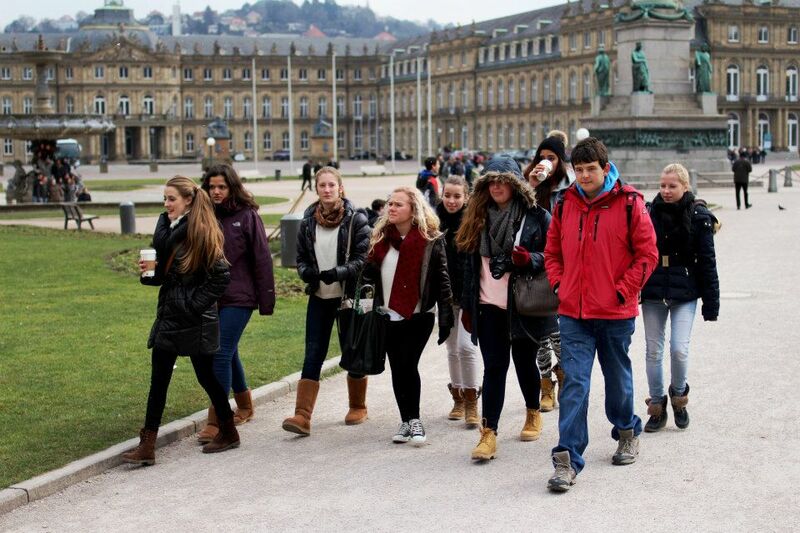 Entre el 12 y 19 Marzo ha tenido lugar la segunda parte del intercambio alemán entre los colegios Sek-Alborán y el Interantional School Stuttgart. Han participado los alumnos de 3º y 4º de la ESO. En diciembre nos visitaron los alumnos alemanes y en esta ocasión nuestros alumnos han podido vivir una auténtica aventura en tierra Schwäbisch donde han conocido distintas costumbres, comidas y formas de trabajar. Hemos tenido muchas sorpresas en el viaje, desde la pérdida de equipaje, que no ha amedrentado en absoluto la ilusión de los participantes, incluso la visita a la fábrica de la Daimler Mercedes Benz. 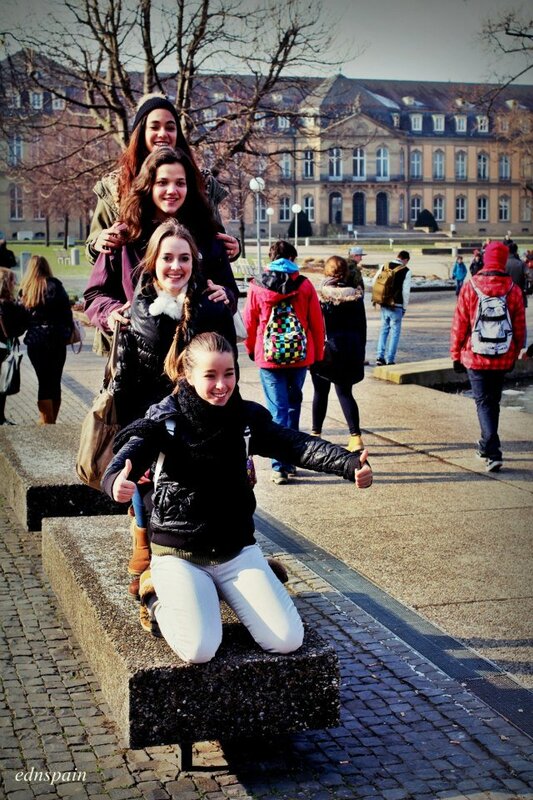 Nuestros alumnos han disfrutado de la compañía de sus compañeros, ya amigos, alemanes y de la máxima atención prestada por todo el claustro de profesores del centro que visitábamos. Pistoletazo de salida de la segunda parte del intercambio con Stuttgart. Nuestros anfitriones nos recibieron en el aeropuerto con los brazos abiertos y una abradable sonrisa . Minutos después descubrimos el frío auténtico de un invierno en Alemania. The week from 13th to 18th of January we had the pleasure of participating in an Exchange with the Sotogrande International School. 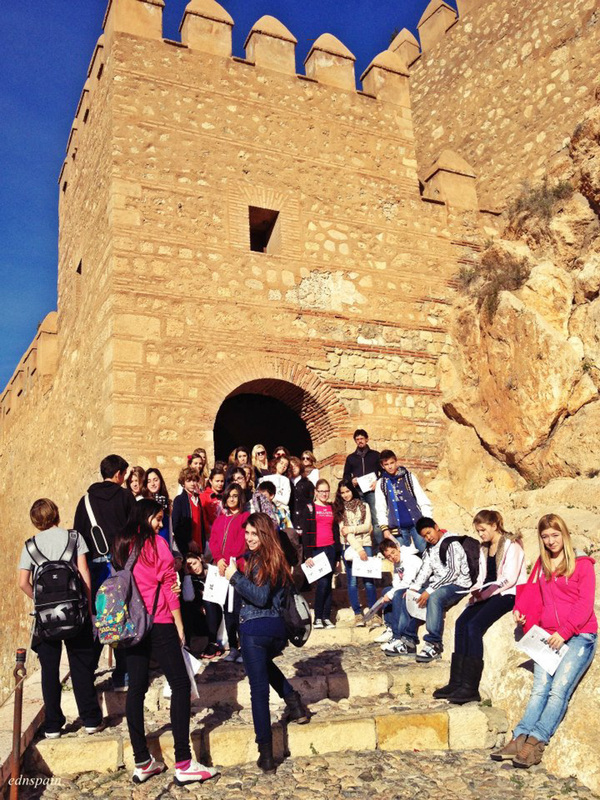 Students from 6th of primary to 4th of Eso participated with enthusiasm in this project. From the presentations previous to the trip through Skype, we could see the excitement in the students. The kids enjoyed our school learning and taking part in every class. They also enjoyed a couple of excursions. 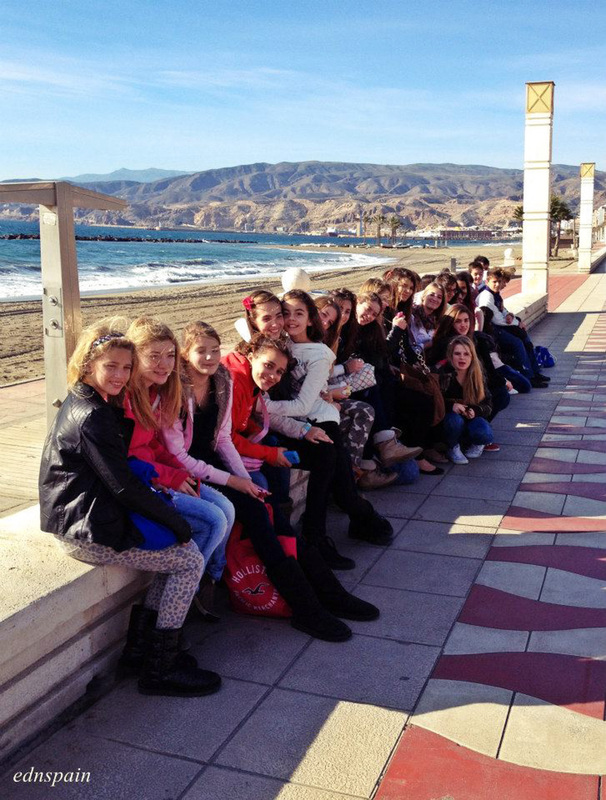 The first trip was to Almería, including a guided visit to the Alcazaba. 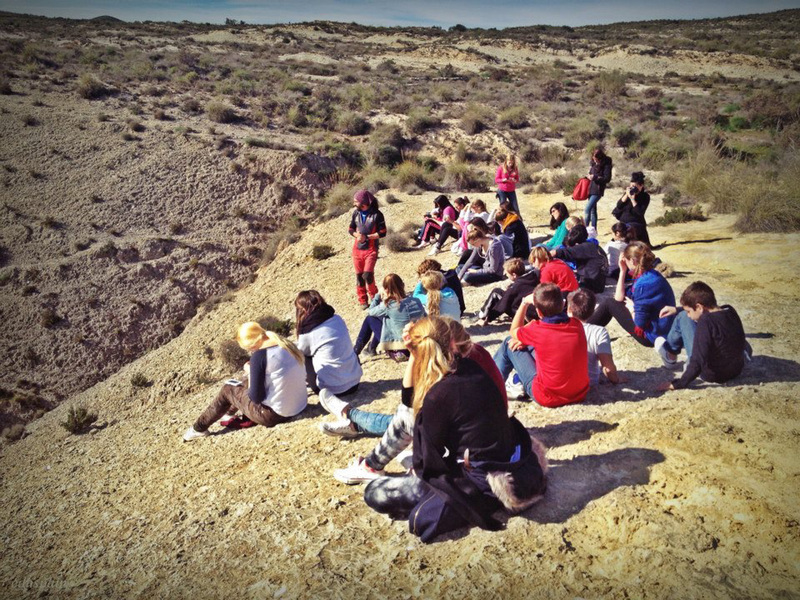 On a second occasion, a day out in the Caves of Sorbas where the students lived an exciting adventure. These students from Sotogrande come from different English-speaking countries and had the opportunity to improve their Spanish language and to learn the Spanish culture by living among our families for a week. Not only the students took advantage of this exchange, teachers from both schools had the chance to exchange experiences about our IB international programs.